Checkpoint Theatre’s latest production is a rich, emotionally absorbing celebration of an artiste’s life. 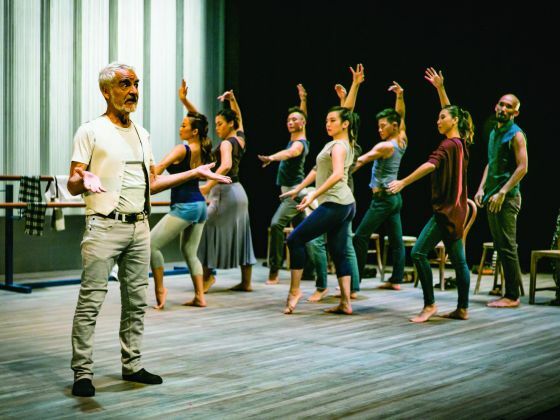 The subject is a veritable titan in his field: 75-year-old Antonio Vargas, one of the world’s leading flamenco dancers and choreographers. Playwright Huzir Sulaiman distils key events from Vargas’s life into a compelling narrative that sweeps us across seven decades and four continents. We learn about his childhood as a Sephardic Jew in Casablanca, growing up amid a babel of cultures and languages. Upon discovering flamenco at the age of five, he was absolutely entranced by the traditional art form that is simultaneously visceral, emotive and graceful. 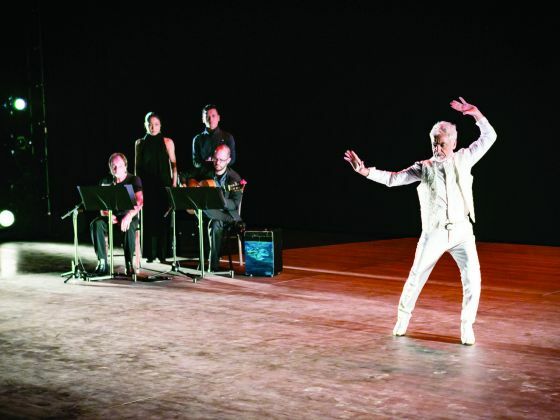 Despite early opposition from his father, Vargas stuck to his passion and won a place at the renowned Pilar Lopez Spanish Dance Company before striking out on his own and spreading his craft to places such as the United States, New Zealand, Australia and, most recently, Singapore where he is currently artistic director of dance company Flamenco Sin Fronteras. 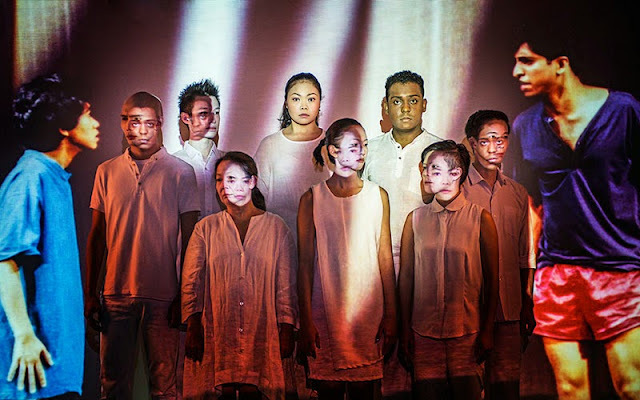 While seeing Vargas on stage is a treat in itself, Huzir and director Claire Wong are sensitive to the theme of a collaborative artistic journey, and use an ensemble of eight actors to tell this story. They take turns playing Vargas at different stages of his life. 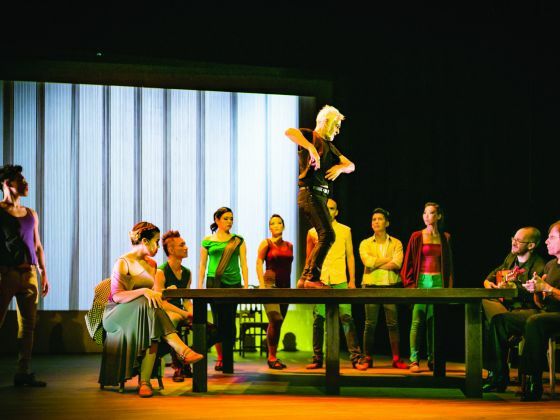 Wong has assembled some of the finest actor-dancers in the local theatre industry and coaxes superlative performances from them. There are particularly impressive turns by Frances Lee, Thomas Pang and Erwin Shah Ismail. The actors perform flamenco dance sequences with aplomb and delightfully portray the many personalities Vargas encounters in his life. 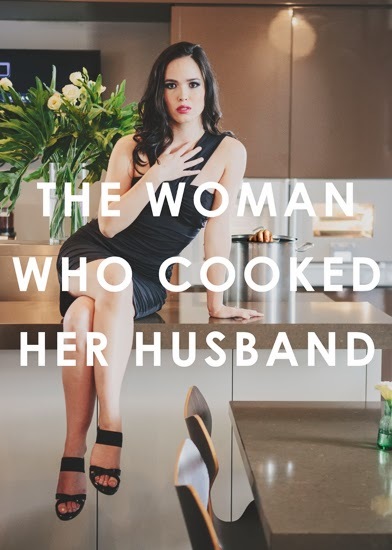 And what a life it is — touring the world, courting celebrities such as The Beatles and Tom Cruise, and dealing with love and heartbreak. Huzir tackles this with tremendous sensitivity and characteristic finesse, giving us language that is lyrical and evocative. 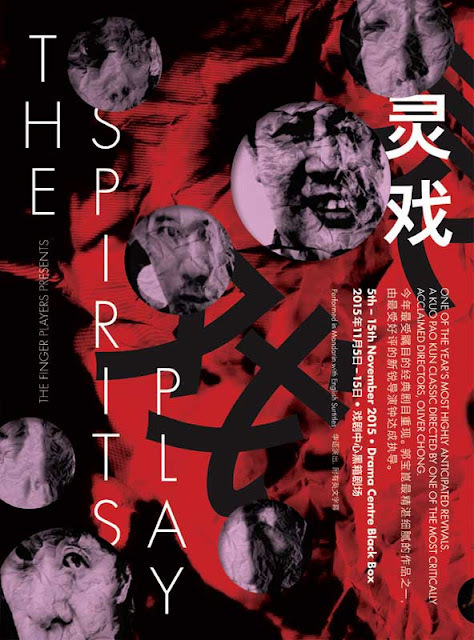 The production is augmented by Lim Woan Wen’s lighting, with its beautiful colour palettes, Shah Tahir’s absorbing sound design and Chris Chua’s minimalist set. On the multimedia front, one rather wishes to see photo and video excerpts from Antonio’s life, instead of a series of images featuring his current self. While the play stretches to nearly three hours, it is so rewarding that one can hardly complain. The actors, vocalist Antonio Soria and guitarist Sergio Munoz also break the fourth wall through a series of personal monologues where they reflect on their life and craft as performers. It is here that we see the larger story Huzir wishes to capture; as much as this is about one remarkable life, it is about the interconnectedness between artistes — whether they are just finding their craft or at the pinnacle of their profession. These are individuals ignited by a common passion and witnessing this is both moving and intensely cathartic. In the last monologue, Vargas tails off, saying “I have no words left”. When he finally takes to the stage for an extended dance solo, we understand. At the end of the day, this man is all about the dance. And it is utterly breathtaking. *An edited version of this review was written for TODAY and published on 30 August 2016.